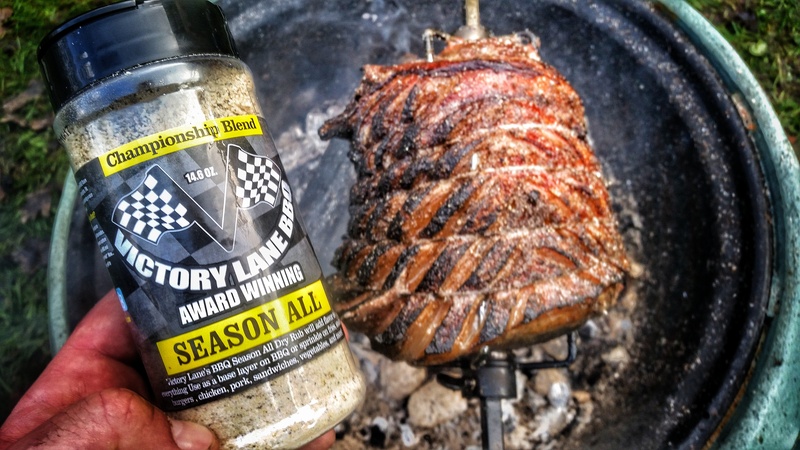 Victory Lane BBQ are a highly decorated American Competition BBQ team, led by Heath Riles. 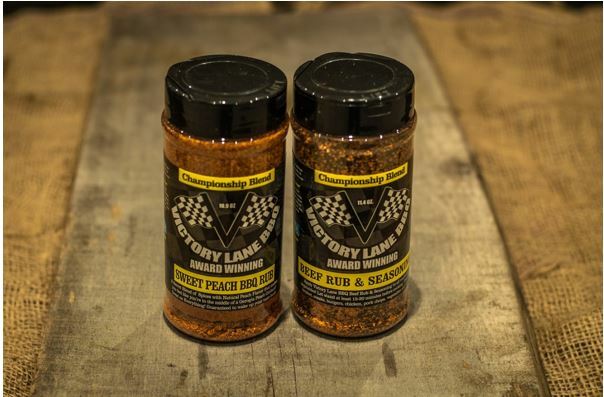 They produce a range of dry-rubs, sauces and injections that have been created off the back of years of competition circuit success. We were sent a selection of 6 rubs and 3 sauces from their large range of products to review by BBQ Gourmet, that gave a good representation of their range. 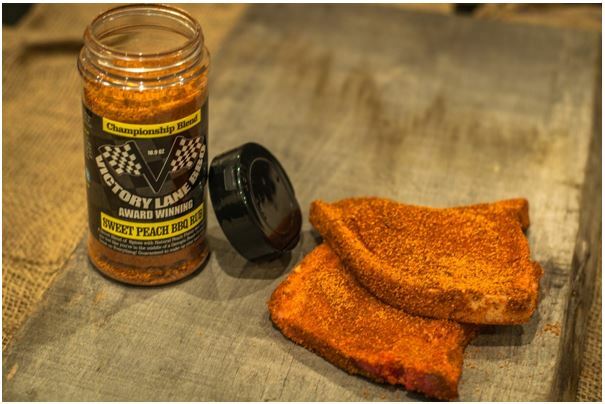 The Sweet Peach certainly lives up to its name – it has a beautiful golden orange hue that will provide a fantastic colouration to whatever you rub it on and a sweetness, which is expected, but not overpowering. It can be often said of products like wine, that the accompanying tasting notes which suggest notes of wild blackberry and ripe cherries are only relevant to the most skilled sommeliers as the average Joe can’t perceive those subtleties. Thankfully, this isn’t such a product. The peach flavour is strong, easily recognisable, and simply fantastic. Naturally this rub is a perfect combination for pork, and I’ve been so impressed with it, it’s my new favourite pork rub. I lightly dusted a beautifully marbled Denver steak with this rub and was happy with the results. It delivered a fairly generic, pepper-heavy, typical BBQ rub, but sometimes that’s exactly what you need and want, so I wasn’t disappointed. 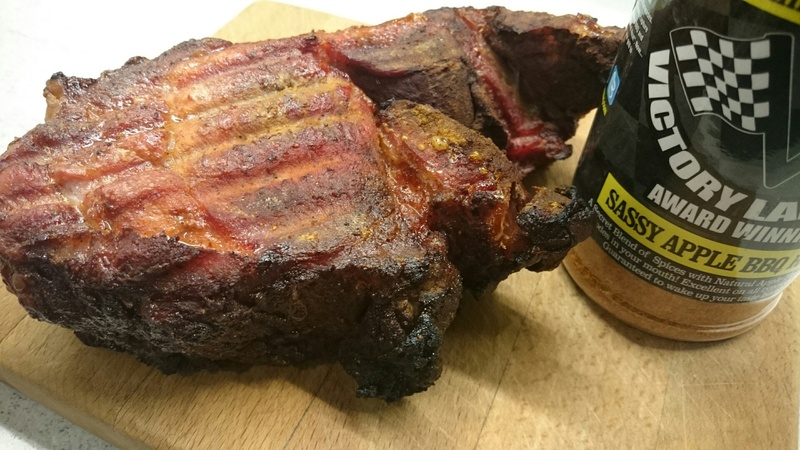 It is a pleasant dry rub that would suit most beef cuts – in particular something like a brisket, but I wasn’t blown away by any secret ingredient or any other serious deviation from similar products out on the market – but then again it’s not trying to either. I’d class this as a “Ronseal” sort of rub, it does exactly what it says on the tin, if you want a strong pepper kick, ideal for beef, give it a go. This had a lovely apple and paprika smoky aroma on opening and I decided to use this on a piece of pork shoulder. These aromas transferred into the meat, with a slight sweet taste but no heat to speak of (says mild on label). Not too salty a rub not ‘grainy’ like some I’ve had. I pulled the pork and put it in a brioche bun. Enough flavour on its own, (although I think I was a bit light with the rub) but with a dollop of the Mild BBQ Sauce took it to the winning line! 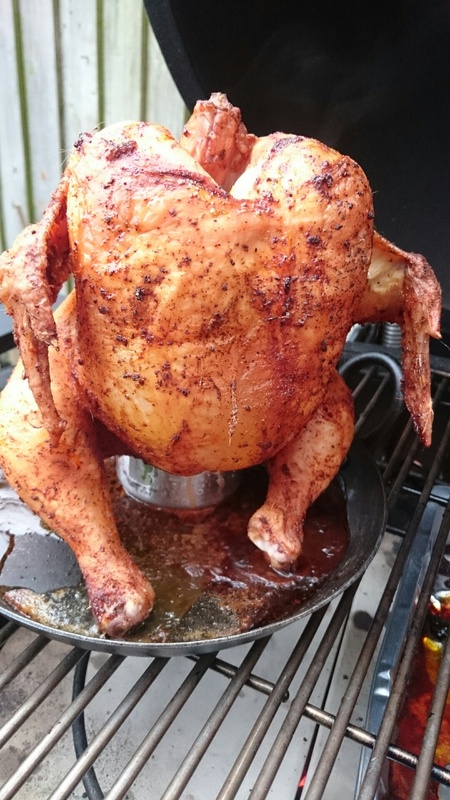 Initial smell was of pepper and paprika and BBQ smoky flavour. I used this on a whole chicken (cider can) and also on wings. A lovely smell was coming from the BBQ, and I couldn’t help but pick the leg off to eat as soon as it came off the grill. Skin was crispy and chicken tasty. Mild to just verging on medium heat (nice little dial on the container to show heat strength) it made my tongue tingle but wasn’t too hot. 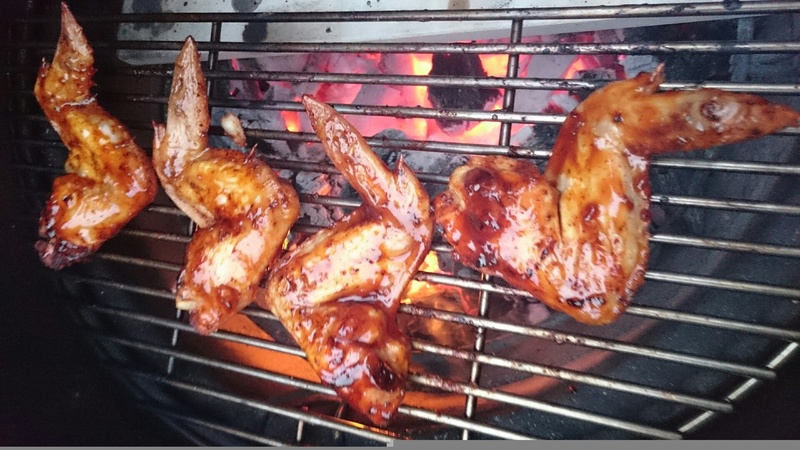 I also tried ‘loosening’ some of the Mild BBQ Sauce with some brandy to brush on the wings for the last 10 minutes of cooking which gave them a lovely shiny, sticky glaze and extra flavour. These were finger licking good and very moreish. This would be great on any meat. This rub is a bit of something different, as suggested it makes a great base layer rub, and would work really well with something like the cherry bomb to temper it a little. It is spectacular on chicken, really adding a good depth of flavour, and making the chicken taste more chickeny. It also is pretty addictive on chips (fries). I cooked with it as a sprinkle on a rotisserie pork leg, to add a deeper flavour to the crackling and it worked really well. It gives it a lovely savouriness with being too salty, it would be a very useful part of any bbq’ers arsenal of rubs instead of the usual paprika rich rubs. The Original BBQ Sauce is definitely a “vanilla” competition BBQ sauce, it has a great balance of sweet, salty, smoky and tangy, possibly verging on sweetness for my taste, but that is a common factor with a lot of U.S. competition style sauces, I find it best to go with a very thin slick glaze on things like ribs, so the meat isn’t overpowered by the sweetness. If you want a BBQ sauce for competition that won’t separate the judges with things like clove tastes, then this would be a great start, and can always be tweaked to your own personal style. 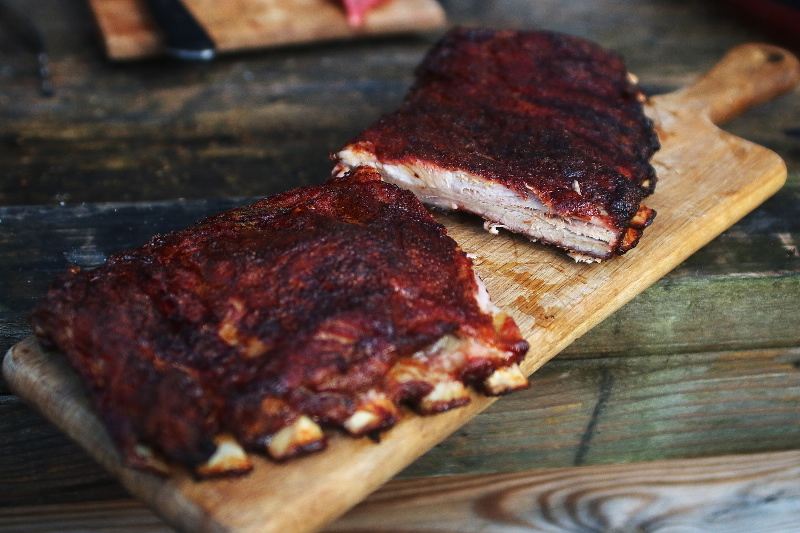 It’s got a great consistency and thickness straight out of the bottle, and you can see why it has been used on a lot of competition winning BBQ. Smoky and Sweet – all that you want from a BBQ sauce packed with flavour and a little sweetness and a slight fiery tingle (bit of a kick it says on the bottle) which will go with any meat you eat it with either on its own or to glaze your meat on the grill for that extra special taste and appearance. Large pile of serviettes required when using these sauce and rubs! The Tangy Vinegar Sauce was interesting, the flavour was very middle of the park for me, nothing stand-out and being labelled as a tangy vinegar sauce, I was expecting it to be more vinegary than it actually was. It must be noted that I do like a lot of vinegar, so perhaps others will think this is less of an issue (my acceptable level of vinegar on classic fish & chips is when the smell of it makes you cough involuntary as you bring the soaked chips to your mouth). I really appreciated the way the pepper bite, is as described, and on the back of the palate almost as an after taste, but I think it was just a bit too heavy on that bite and would have benefited from less pepper. The texture of the sauce was unusual and actually got me shaking the bottle up to wonder if I had some sort of settling going on. Unfortunately nothing improved and the texture remained grainy and delivered an unpleasant mouth feel – this sauce would have benefited from a finer grinding of the herbs and spices that went into it. 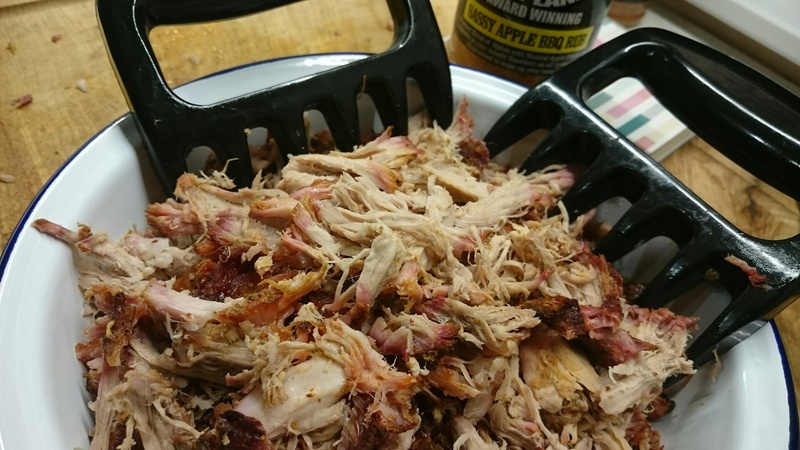 I know we all like to make our own rubs and sauces but it is great to have some in your cupboard which you can have as a ‘go-to’ when time is short. 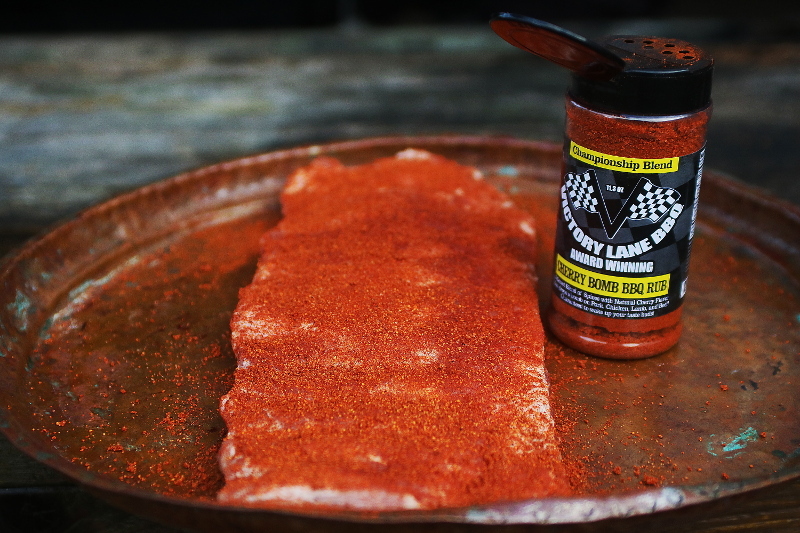 These rubs come in a good sized pot and a flip lid to enable you to either sprinkle the rub over your food, or you can remove the lid if you require a bit more of a shake on your meat. 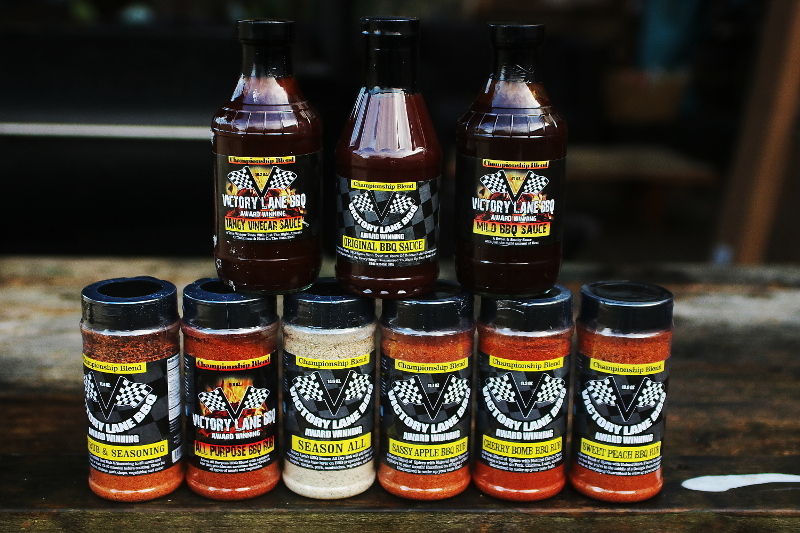 This is the first in a series of Reviews of ranges of BBQ sauce and Rubs imported from the U.S. by BBQ Gourmet to the U.K. for purposes of transparency, we are sent the rubs and sauces and a small fee to cover ingredients used in the reviewing of the products, but we are free to give our thoughts on the products. 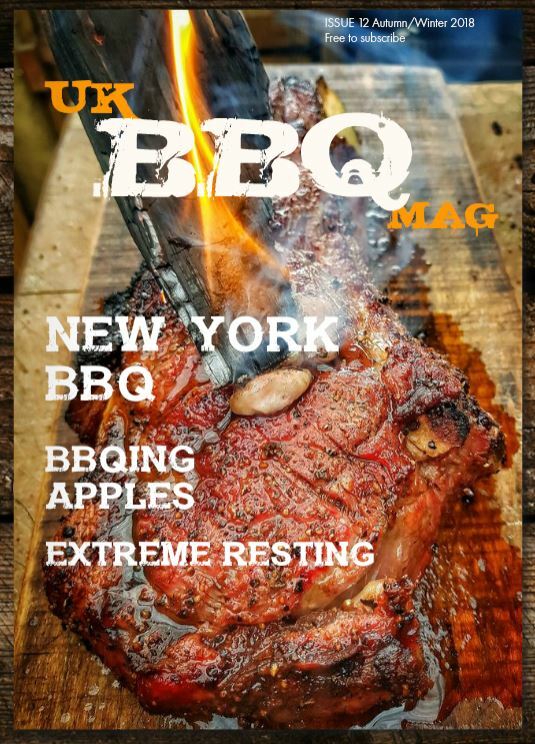 Thank you to the team of intrepid BBQ Reviewers Duncan Meyers @duncan_meyers and Sue Stoneman @Sue_Stoneman for their help with this review.